The Rocky Mountain Reaper is a pint-sized version of the Canadian company’s Thunderbolt that was developed specifically for kids. 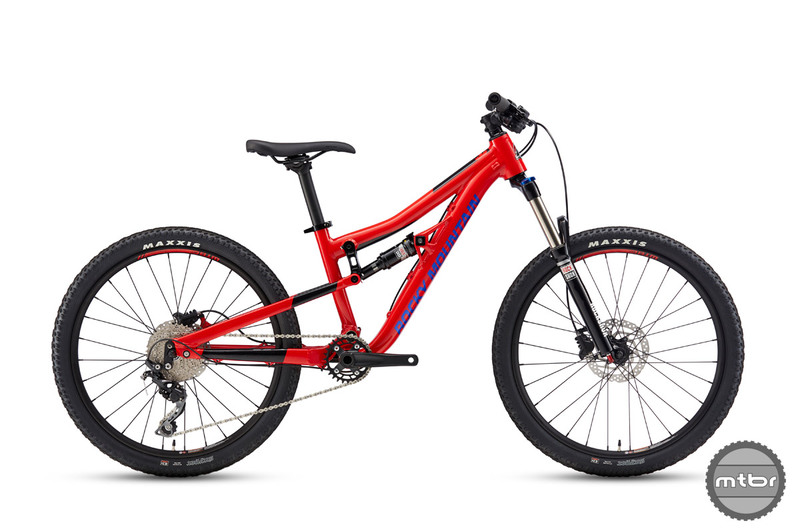 Despite its miniature stance, it shares several of the same advanced features as the grown up bikes, including Rocky Mountain‘s Ride 9 system. The Reaper geometry, suspension, and wheel size can be tuned to help the bike grow with its lucky owner. This mechanism consists of two interlocking chips that can be adjusted to tune the bikes handling. All it takes is a few minutes and two Allen keys to adjust the suspension for lighter or heavier riders. 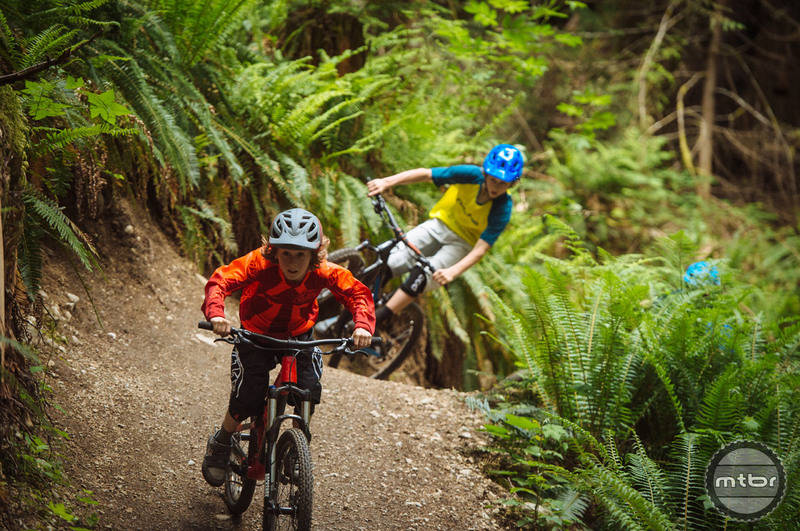 The little ripper is available with either 24” or 26” wheels and is convertible between the two, so the bike can grow with your youngster. In either trim, the bike ships with a 120mm fork and has 130mm of rear travel. The Reaper 24” ships with a RockShox Recon Fork, Monarch shock, and Shimano brakes and drivetrain. 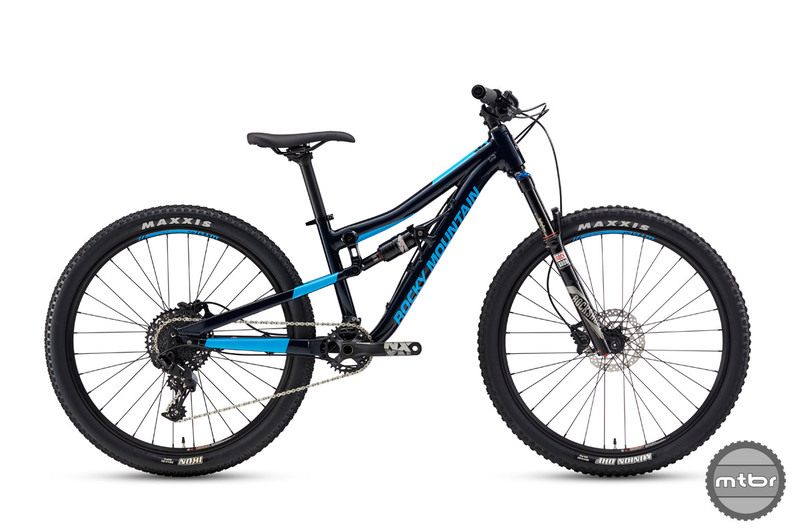 The 24” model ships with a Shimano Deore 1×10 drivetrain and retails for $1800. 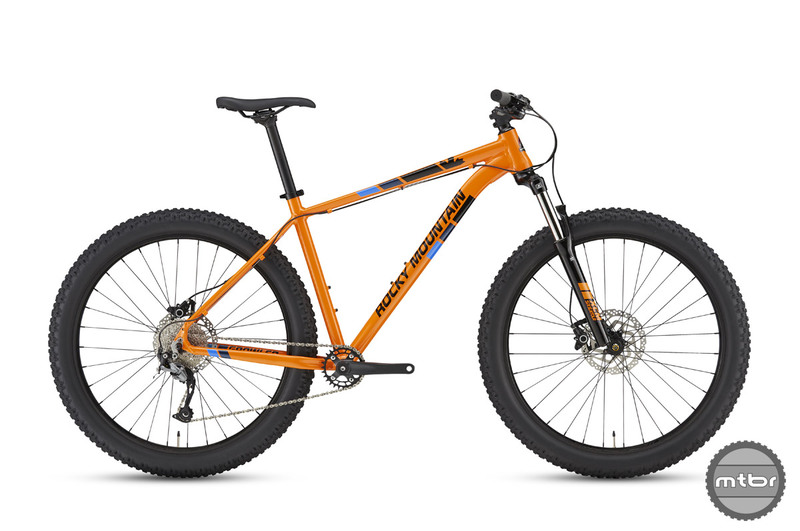 The 26” version of the Reaper costs $500 more than the 24” version, but features an upgraded drivetrain, suspension, and brakes. MRSP for the 26” model is $2300, which nets you a SRAM NX 1x drivetrain, upgraded fork, and some other minor spec improvements. 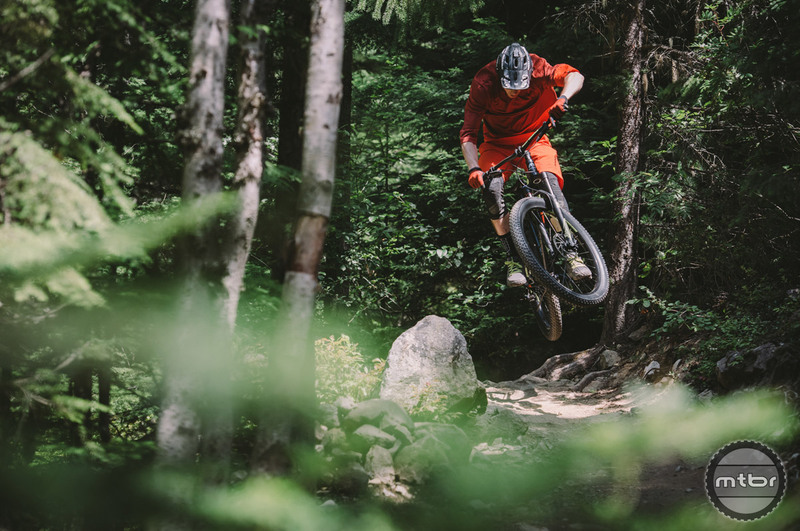 Moving on from kids sized toys to adult-sized fun, Rocky has rolled out the new Growler, a 27.5+ hardtail named after one of our favorite drinking receptacles. It is designed around a 120mm fork and targeted towards trail riding. Short chainstays and a low BB for poppy handling are a mainstay of the Rocky Mountain lineup. It is also worth noting the frame comes in six different sizes, starting with an XXS and going up to an XL. 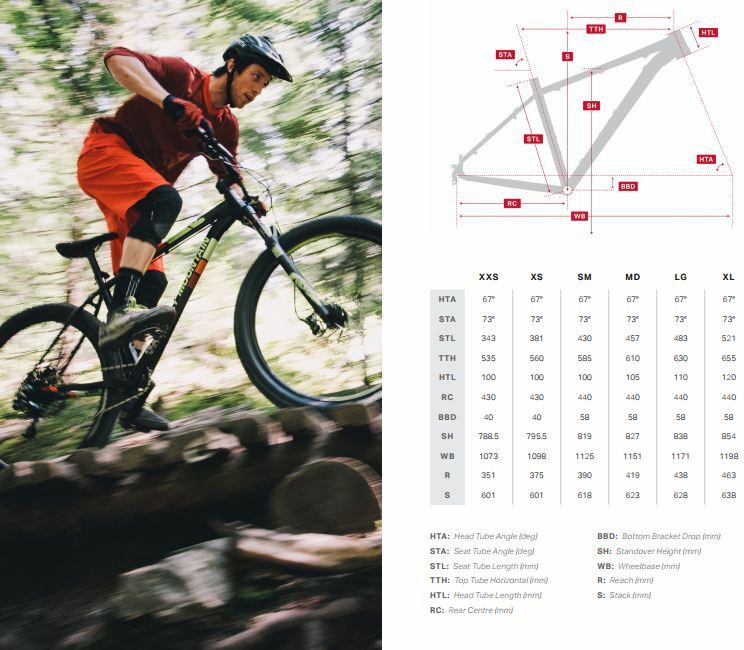 To ensure handling is the same across all sizes, the XXS and XS frames use 26+ wheels/tires. All three versions of the Growler share the same alloy frame. The frame is built from 6061 aluminum and is available in three different build trims. Models start at $900 and top out at $1700. All frames come equipped with a 1x drivetrain and have the option to mount a stealth routed dropper.